Published April 2017, edited and curated by Leah Pritchard and Ruby Tandoh. Cover blurb: Do what You Want is a one-off magazine, curated and edited by food writer Ruby Tandoh and her partner Leah Pritchard. Focusing on mental health and illness, it features an interview with actress Mara Wilson; writing from New York Magazine’s advice columnist Heather Havrilesky (Ask Polly); recipes from food writers Diana Henry, Meera Sodha and Bee Wilson; and an exclusive Q&A with Sara Quin of Tegan and Sara. With essays, comics and poems by contributors from all walks of life, Do What You Want shows that mental wellbeing is for everyone. This is a project in aid of mental health charities and not-for-profit organisations. All profits will be split between Mind, Beat, Centre of Mental Health and more. My Review: As soon as I’d heard about this zine, I knew I needed to order a copy! I’ve love Ruby Tandoh. So to hear she was curating a zine about mental health with her girlfriend Leah (now fiancees – congrats you guys omg), I was over the moon. As a Tegan and Sara obsessive, my excitement was undoubtedly furthered by the announcement that the zine would include an interview with Sara Quin! 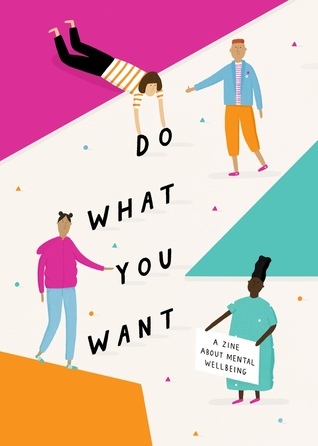 Do What You Want covers a huge variety of mental health issues, from eating disorders to anxiety, depression and the intersectionality of mental health with aspects of identity such as being queer. I adored how broad this zine was, as it’s so eye-opening to read accounts from a variety of people from different backgrounds. I’m sure that many people who read this will find something to relate to, as well as come away from it having learned something valuable. It’s rare to see so many diverse, honest stories in one place like this; that’s what makes the zine so special. Every contribution is presented absolutely beautifully, whether it’s a personal story, report on statistics and services or a recipe. Presentation ranges from vibrant comics and portraits, to gorgeous illustrations accompanying heartfelt essays, interviews and first person accounts. I took my time reading this to admire all of the work that’s gone into making this book so visually exciting. The uplifting, wonderful artwork perfectly accompanies some incredibly hard-hitting topics. I started reading Do What You Want during exam season, and that proved it to be the perfect read to dip in and out of. This zine is a wonderful read whether you’re leafing through a passage or two a night, or reading the entire thing in a day. As I was about halfway through, I did notice there were significantly more female contributors than male ones. It is fantastic to see so many talented female artists and writers in one place. However, I did want to see more representation of men’s experiences of mental health, after reading around the topic previously, and being aware of some shocking statistics. This is still a teeny tiny problem for me with the zine, but it definitely was addressed really well through a couple of contributions such as George Almond’s portrayal of toxic masculinity in a moving account of his family. Overall, I am so, so impressed with Do What You Want; it’s the kind of book you want to shout about from the rooftops and demand everyone reads. not only is it an amazing resource on mental health information; it’s also a beautiful collection of art and writing, and has raised a lot of money for various charities. This is definitely up there in one of my favourite reads of all time. After selling out its initial 4000 prints, the zine is going into a reprint, so you can still order a physical copy now, or get the ebook if you’d like it sooner! This entry was posted in Book Review and tagged anxiety, book review, comics, depression, do what you want, eating, essays, leah pritchard, mara wilson, mental health, meredith graves, OCD, recipes, ruby tandoh, sara quin, tegan and sara, wellbeing, zine review on May 27, 2017 by Gee. Published 4th May 2017 by Walker Books. My Review: Coincidentally Mrs Dalloway was near the top of my to-read pile, when I was offered this, inspired by Virginia Woolf’s book! I’m definitely going to have to go back and read it now, as I’d love to compare this contemporary re-imagining properly. This story follows Adam, through an incredibly eventful single day, as secrets come to light and Adam navigates the complexity of losing people close to him. I’ve never read a book with such a short time span, and I found it really refreshing. It was compelling and addictive; I was completely swept up in this pivotal day in Adam’s life, reluctant to put the book down. Alongside Adam’s story, another narrative follows the ghost of a girl recently murdered nearby. It was such a bizarre and haunting twist to the story. One that didn’t hugely make sense to me at times, but undoubtedly gave me chills. I think I need to actually reread Release and take it all in again, as the second narration and ambiguous ending has definitely stayed with me but I don’t quite know why. I finished this feeling like I missed something; maybe that’s because I read it in such a short space of time. Even if it’s only set over a few hours, it’s a book to spend time with to pick up everything. I absolutely adored this book for the multitude of themes it discusses. The protagonist is living in a deeply religious family that won’t eventually accept him, whilst he’s navigating a complex love life, as a boy he loved is leaving the town. There’s so much more on top of that; I love how well everything is explored. It’s brutally honest about some terrifying stuff. 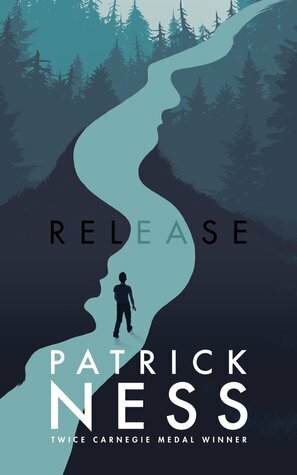 Patrick Ness’s books are always so unique and remarkable, and I consistently adore his characters. Again, in Release, I became so attached to Adam (and Angela) while I read. They’re incredibly memorable characters. I keep talking about the time frame of this book BUT I think it’s incredible how in-depth the characterisation is, and how every small part of the story is explored, despite it only being based in one day. From Adam’s family religion to his friendship with Angela; everything is so memorable. It’s really stayed with me. Overall, I would definitely recommend Release. It was inventive and unique, with some truly memorable characters and events. 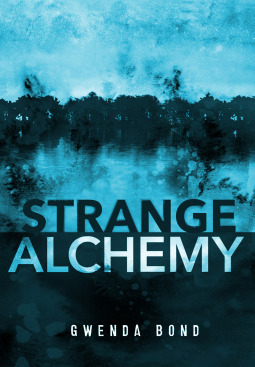 I really connected with the main narrative, and found the ghost story line very haunting, but I feel like I didn’t take it in properly; it felt like a story of its own. I would really like to give this another try though and enjoy it more! I received a copy of Release from the publisher, in exchange for a review. In no way at all did this affect my thoughts. 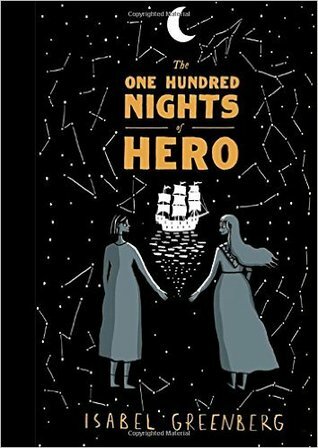 This entry was posted in Book Review and tagged book review, patrick ness, release on April 19, 2017 by Gee. I’ve seen so many articles, tweets, Tumblr posts about acts of police brutality against African Americans in the US, I’ve lost count of the amount of names I’ve seen listed. It’s upsetting. It’s horrible. It shouldn’t be happening. And it’s difficult to raise awareness about it, beyond sharing something on social media – so I really want to share this book as widely as I can. Published 6th April 2017 by Walker Books UK. 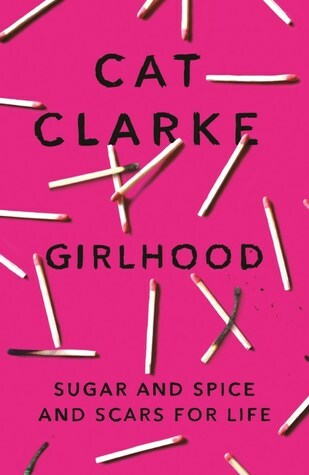 Goodreads Synopsis: Sixteen-year-old Starr lives in two worlds: the poor neighbourhood where she was born and raised and her posh high school in the suburbs. The uneasy balance between them is shattered when Starr is the only witness to the fatal shooting of her unarmed best friend, Khalil, by a police officer. Now what Starr says could destroy her community. It could also get her killed. Inspired by the Black Lives Matter movement, this is a powerful and gripping YA novel about one girl’s struggle for justice. My Review: I was so eager to read this, from the minute I learned what it was about. The Hate U Give is focused on Starr, a girl my age, who is in the car with her childhood friend when he’s killed by a police officer who had no reason at all to shoot. Grieving Starr is thrown into the most difficult situation, where she has to decide whether to stay silent or to speak out, even if it puts her life at risk. What happens to Starr’s friend, Khalil, is frighteningly similar to so many deaths I’ve read about – and it’s frightening to think that this happens regularly. It really opened my eyes to the situation of prejudice and racism in America, as before I was aware but not aware enough, as most people sadly are. The story is heartbreaking, and might be difficult for some to read as it touches on so many relevant themes today – but that’s why this book has to be read. It’s unflinchingly powerful and brave. The narrative is compelling, and I grew to really love Starr throughout the novel – it’s told in her very realistic voice. She’s torn between what to do, because remaining silent about what she witnessed and raising her voice. She’s also torn between two different ‘lives’ she’s living: her hometown and the mostly-white populated private school she attends. Starr lives with so much internal conflict, and I really empathised with her because I can imagine so many people are in the same situations. I became really attached to Starr’s family, and Thomas writes so much detail into each character that I can’t stop thinking about them. Starr’s father is one particularly well developed, unforgettable character – an ex-convict who found his way out of gang culture, determined to protect his children and also build up his life with the store he now owns. There’s something about all of the characters that’s incredibly inspiring – their stories stay with you for a long time. The best thing about The Hate U Give is how unapologetic and real it is. I’m really excited to see how it translates into a visual story, too! The movie rights have been sold, with Amandla Stenberg to star – which is the most incredible news. I really hope this book, and a movie in the future, helps to raise awareness. Not only is this a captivating story – it’s a powerful and unforgettable message about an ongoing issue. Overall, I obviously recommend The Hate U Give to everyone, especially if you’re not very informed on current events in America and the Black Lives Matter Movement. It’s the most memorable and moving book you’ll read this year. 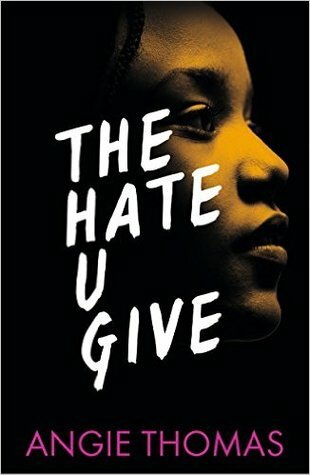 I received a copy of The Hate U Give from the publisher, via Lovereading4kids, in exchange for a review. In no way at all did this affect my thoughts. This entry was posted in Book Review and tagged america, angie thomas, black lives matter, book recommendation, book review, contemporary, police brutality, racism, social issues, the hate u give, usya, we need diverse books, YA, young adult fiction on March 15, 2017 by Gee.